Belize NMS: A tropical wave affecting the area maintains moist and unstable conditions. Advisories: Small craft caution for gusty winds and locally rough seas near showers and thunderstorms... Localized flooding is likely for low lying and flood prone areas. 24-hour forecast: Cloudy to overcast with some showers, periods of rain and isolated thunderstorms around the country, but especially over the coast and north. General Outlook: Tuesday and Tuesday night: Cloudy to overcast with some showers, thunderstorms, and several periods of rain across the country but especially the coast and the south. Today 10-20 kts Moderate 4-6 ft SOME SHOWERS, PERIODS OF RAIN AND ISOLATED THUNDERSTORMS, ESPECIALLY NORTH. Tomorrow N 10-20 kts Choppy-Moderate 3-5 ft SOME SHOWERS, PERIODS OF RAIN AND ISOLATED THUNDERSTORMS. Outlook N-NW 10-20 kts Moderate 3-4 ft TUE NIGHT: SOME SHOWERS, PERIODS OF RAIN AND ISOLATED THUNDERSTORMS. 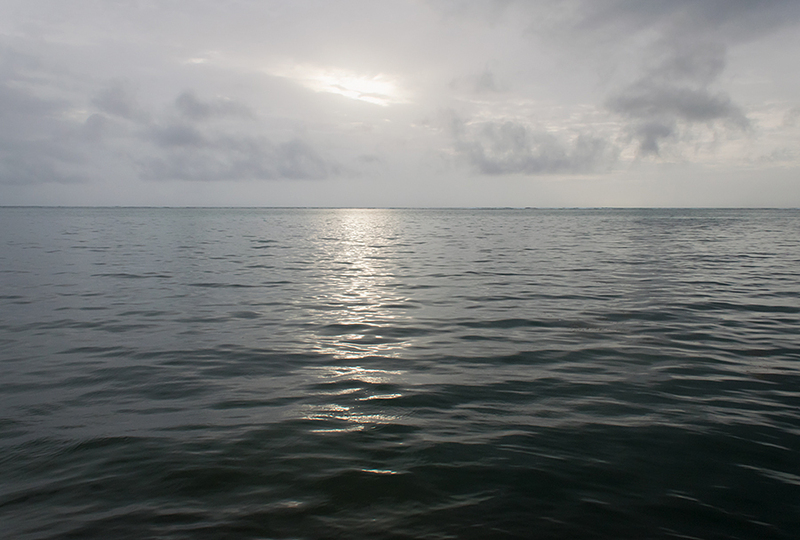 On Ambergris Caye this morning the sea is flat calm and sky overcast. We have an almost undetectable breeze from the North contrary to the weather outlooks but it could be the island is between thundershowers at the moment. It rained last night and looks like it will again shortly. Ambergris Caye has had a week of rain and gray sky. The island has some flooding in low places but the road North is open. The high today is 82f. There is a very significant change to our weather today, it may not be obvious, but a significant cold front is approaching, but its front edge effect crossed over Belize over night. We still have all the Caribbean ITCZ swell-ups all over the place and we are still in the centre of a low pressure area, hence all the rain over night, but things will be changing over the next two days. The NOAA have just removed the cold front line from their chart, I don't know why, because the effects of that cold front are very real, clearing cloud across the Gulf, and causing cloud movement over southern Toledo to be from the west. 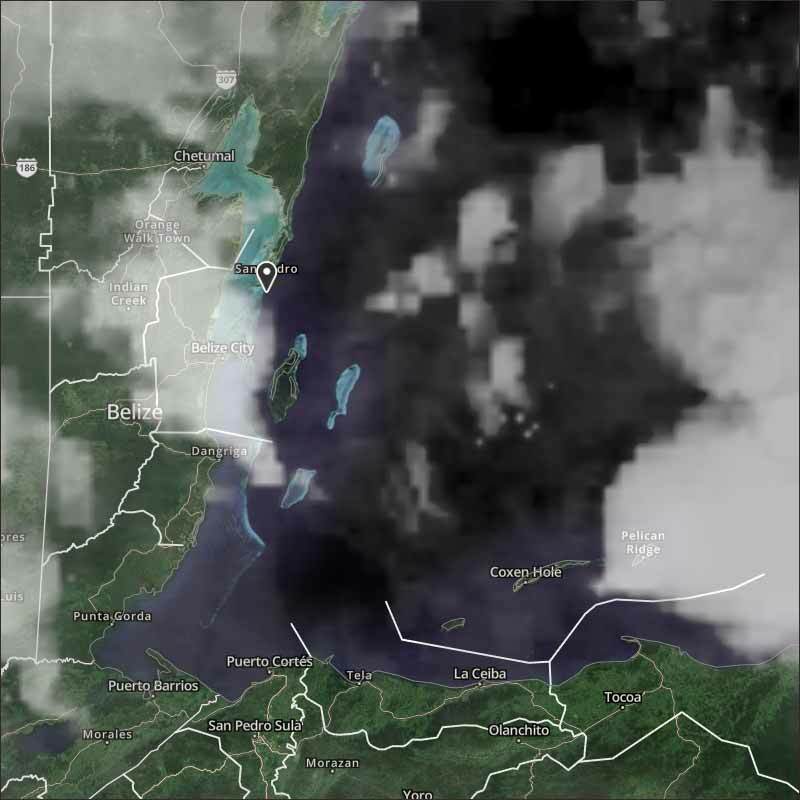 There is a lot of rain due to swell-ups, over central and northern Belize this morning, some light, some very heavy. Looks like today will be cold and wet for many and overcast for most, a few patches of sun down south.